I chose the elements in the Right Diagonal: Circle, Elegant, and Greeting. 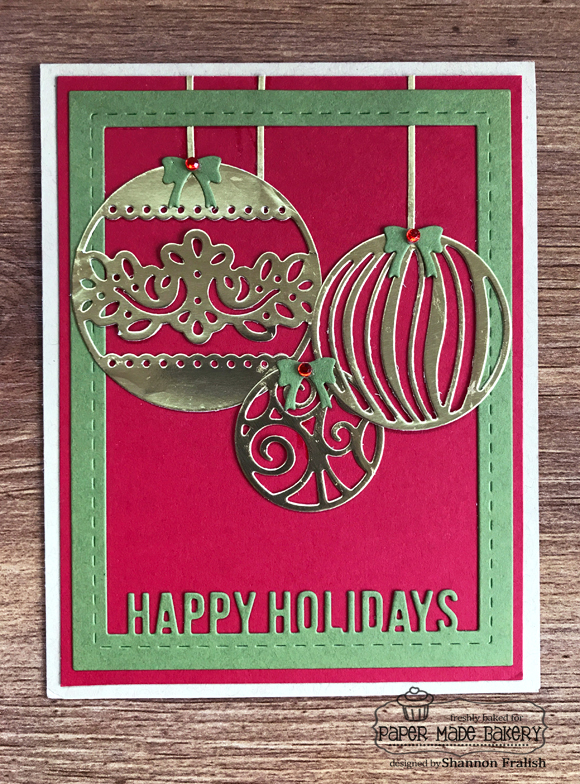 These elegant die cut ornaments and border greeting are by Taylored Expressions. The gold foil paper and filigree styling really bump these up a notch! It's a simply sophisticated take on a cherished holiday tradition -- trimming the tree. 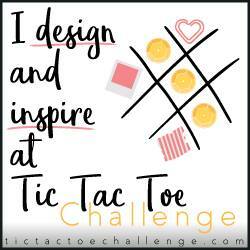 I'm looking forward to seeing how this week's board inspires you -- share your creation on the Tic Tac Toe Challenge blog and see what happens! 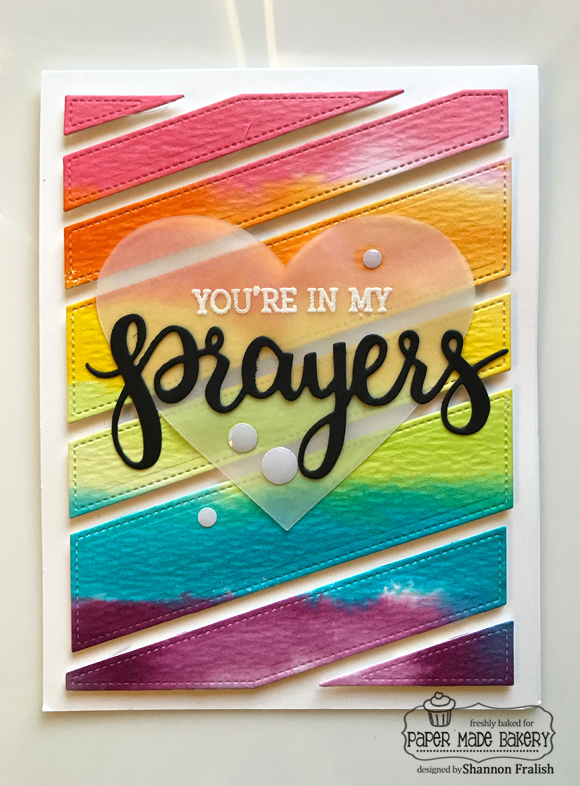 I used Taylored Expressions stamps, dies and enamel dots, plus Distress re-inkers and watercolor paper to create the rainbow background. The stripes come from the "negative space" in the original cutting plate called Diagonal Stripes. 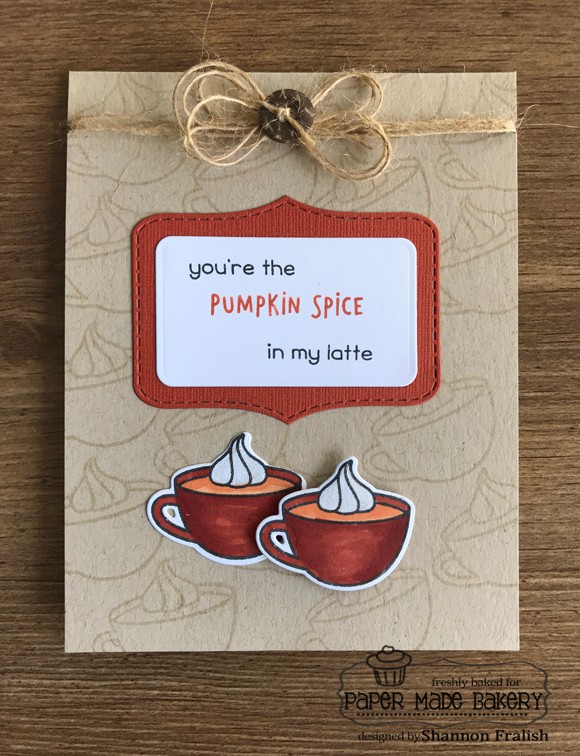 I had the opportunity to attend this year's Taylored Expressions Stamp Joy event and learned so many cool techniques, and this was one of them. 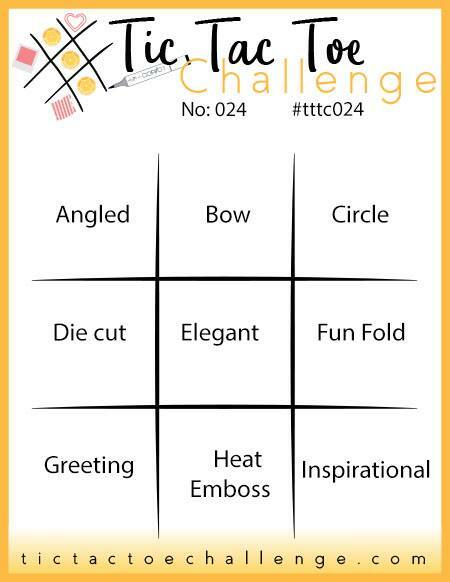 Which row on the challenge board inspires you? Dig into your stash and put those inks, stamps, papers, and embellishments to good use! 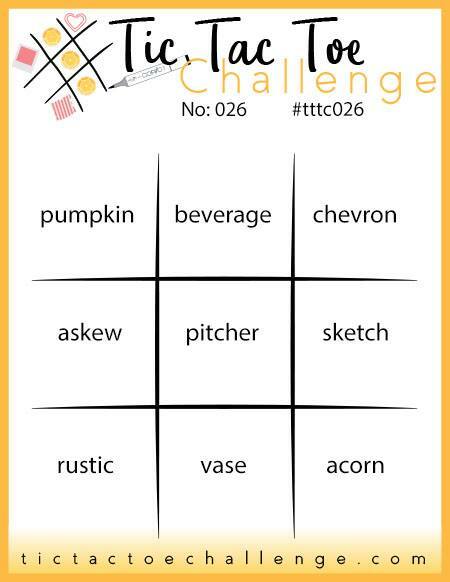 You just never know what beautiful things can come from a Tic Tac Toe Challenge!